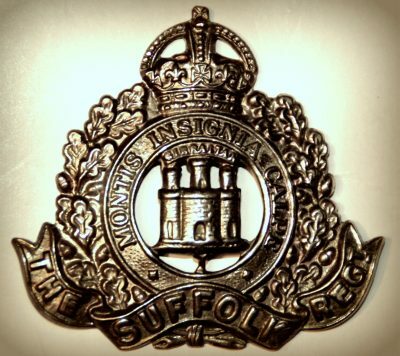 Formerly 865, Suffolk Cyclist Regiment. Relatives Notified & Address: Brother of Mr Edward E. Ager, of ‘Bismillah’, Locarno Road, Ipswich. 1901 21, Alan Road, Ipswich. Walter was 8 years old and living with his widowed mother & siblings. Emma Ager (nee Thurman), 56, born Mellis, Suffolk. Stanley Ager, 20, an Iron Moulder, born Ipswich. 1911 21, Alan Road, Ipswich. Walter was 18 years old, a Carpenter. He was living with his widowed mother. Walter’s father was Alfred Edward Ager, born 1848, Little Livermere, Suffolk – died 1892, Ipswich. Walter is also remembered on the war memorial at Holy Trinity Church, Ipswich, and on the Ransomes, Sims & Jefferies, Orwell Works, war memorial. Now sited at The Museum of East Anglian Life, Stowmarket, Suffolk.